The exceptional spice blends from Gaumenrausch are only available on demand. 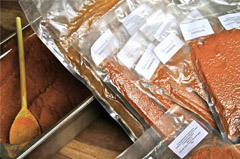 Gaumenrausch is an exclusive spice manufacturer located in Berlin, producing blends solely for Haute Cuisine and delicatessens and only per special order. Our creations are prepared by hand, the spices singly roasted, ground and blended into deeply aromatic compositions, arriving at the customer’s in vacuum-sealed packages. To ensure sustainability, freshness and the most authentic aroma we only produce blends appropriate to the season – in both taste and availability. Should a harvest miscarry or spices fail to concur with our quality standards, Gaumenrausch will not produce the blend. We would be glad to send you our price list. 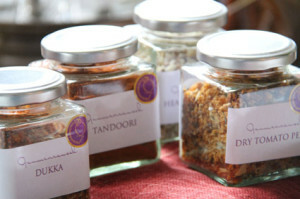 Gaumenrausch will also create new spice compositions according to your personal wishes. “Heaven’s Kitchen” is the culinary theme of our Summer/Winter Collection 2013.